Long day with a big climb to start today. Weather held off for another day and it was nothing but sunshine and warm temperatures. Trail took us to the border of Virginia and West Virginia today with some pretty fantastic views. Another day of scare water today, with ten or so miles between water sources. Starting to get a hang of how much water I need to consume though, so that's definitely a plus. 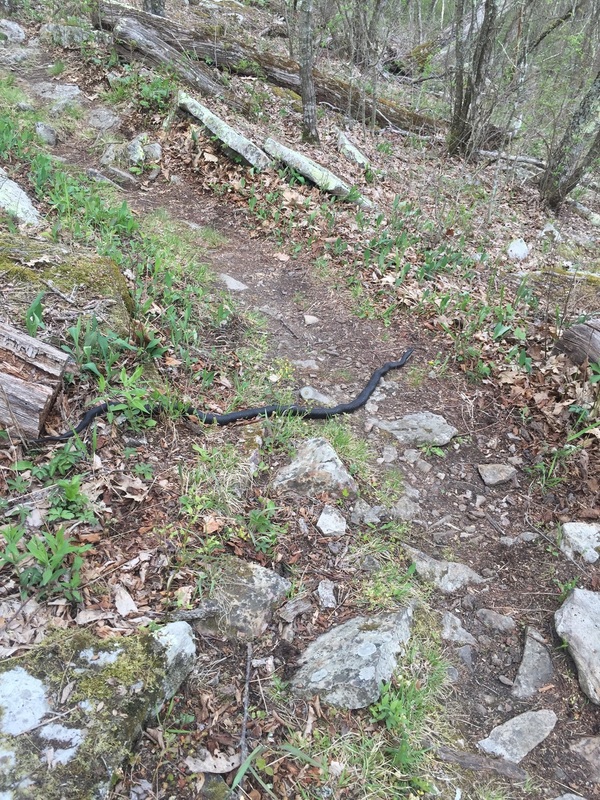 Saw two huge snakes today, both unexpectedly and just sitting on the trail. Startled me for sure. Arrived at the shelter around 6PM, decided not to try and go on another few miles to the next shelter. Just the four of us tonight in the shelter with a tent below with two day hikers, seems that we're sufficiently ahead of the bubble for now. Oh, and the lightening bugs were out for the first time tonight!